Whether you’re looking for a high-quality drumming kit to practice your skills and track your progress or simply to rock it like a pro, Roland has got you covered! The TD1KV V-Drum compact drum kit features superior sounds and amazing durability, which is all you need for a good drumming session. The V-Drum kits are already known for the high level of performance and the professional feel they provide. This specific kit features a wide array of different sounds and styles to choose from and it can follow your progress as you improve. The TD1KV drum kit we are going to review in this article is often confused with the TD-1K kit, which is in essentials quite similar to it. However, there’s a major difference in the fact that the TD1KV has a mesh snare which the TD-1K kit lacks. Provided by the world’s most popular electronic drums manufacturer, Roland, this kit ensures the highest quality and best drumming experience you can get at home. Having been in the industry for over three decades, Roland has found a way to put together all good features in use by combining them into one drum kit. Let’s check out what the TD1KV electronic drum it has to offer! What’s so great about this electronic drum kit is that it provides functionality and convenience mixed in one. It is quite practical since its structure allows it to fit in smaller spaces. Thus, you will get a chance to practice your skills and enjoy drumming at home while saving space. Besides, the kit features a modern look and does not interfere with the style of your room interior. In terms of quality, as a part of the V-Drum lineup of compact electronic kits, the TD1KV is a very sturdy and durable choice. It is comfortable and easy to use, allowing you to get used to it quickly. 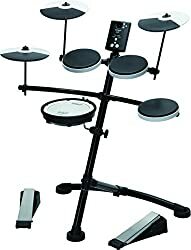 The ergonomic drum rack can be adjusted in terms of height. Therefore, you can set up the drum positions for different heights if necessary. This will allow flexibility if there are more people using the same kit. 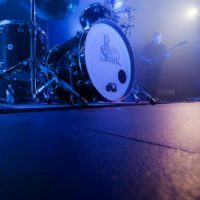 In fact, this drum kit can be adjusted to a much larger sense, since the height of each cymbal and the angle of the snare pad can also be tampered with. Customizing the kit according to your needs and requirements will allow for better comfort and playing style. With this much flexibility, this drum kit is a great choice for both those who are learning to play and the experienced drummers who need a practice or warm-up kit. As you move up and improve your skills, you won’t need to spend money on a more advanced drum kit, as the TD1KV can improve with you. Simply replace parts and add extras to make your kit more advanced. You can choose to add an OP-TD1C Cymbal Pad or replace the kick pedal for better KT-10 or KD-9 pedal models. You can also add extras such as the NE-10 Noise Eater, PM-03 Personal Drum Monitor or use the TDM-3 V-Drum Mat to prevent the kit from moving around. The TD1KV V-drum compact electronic drums set features 15 built-in kits for better drumming experience and personalized style. 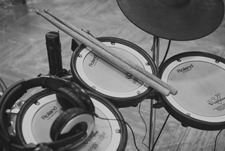 The set supports the basic acoustic drum techniques such as advanced hi-hat playing and cymbal choke. This allows you to maximize your drumming experience and get the most out of your sessions. The realistic snare drum feel with head/rim triggering and the overall professional feel provided by the mesh-head PDX-8 V-Pad allows you to play like a pro and test your limits. As for improving your skills, the TD1KV kit brings along great features such as a coach function and a metronome that allow you to fully control your playing. 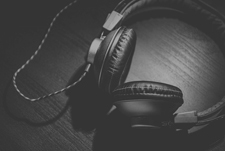 You can track your progress with the record feature and listen to your music later on in order to improve your skills and better your style. 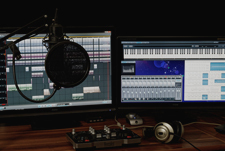 You can simply record your sessions on any computer using a classic USB cable, thanks to the USB-MIDI interface built in the kit. Thus, this drum it is also great for creating music with no additional hardware needed. All you need besides the set is a computer and a USB cable. You might also want to use a music software to further tune the result. 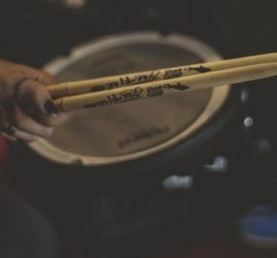 Whether you haven’t used Roland’s drum kits before or you’re completely new to drumming, you should be familiar with apps that can make your experience more enjoyable. Roland features a free series of V-Drums Friend Jam apps which include jam tracks and practice features. These apps also allow you to compete with other users on a worldwide scale, making drumming with the V-drum it even more exciting! 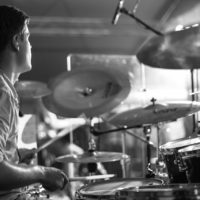 If you want to learn about different techniques and styles, you can get an in-depth education by using the DT-1 V-Drums Tutor application. Overall, the drum kit is very simple to use and even the new drummers will find it easy to get used to it. The layout is simple and clear and the control panel allows quick and easy access to different functions and settings. Overall, the TD1KV drum it is a modern yet compact drum kit suitable for all sorts of players, from beginners to pros. It features superior sound and high-quality elements with a professional feel while being completely adjustable in terms of height and angles. At first, the set leans more towards average to beginner players but it can be transformed into an advanced drumming kit for professionals. Simply add or replace some components and you will get a highly advanced, more professional drum kit.